In it, Slim Shady wears a 35th anniversary G-Shock which is Casio’s seventh collaboration watch with artist and graphic designer Eric Haze. 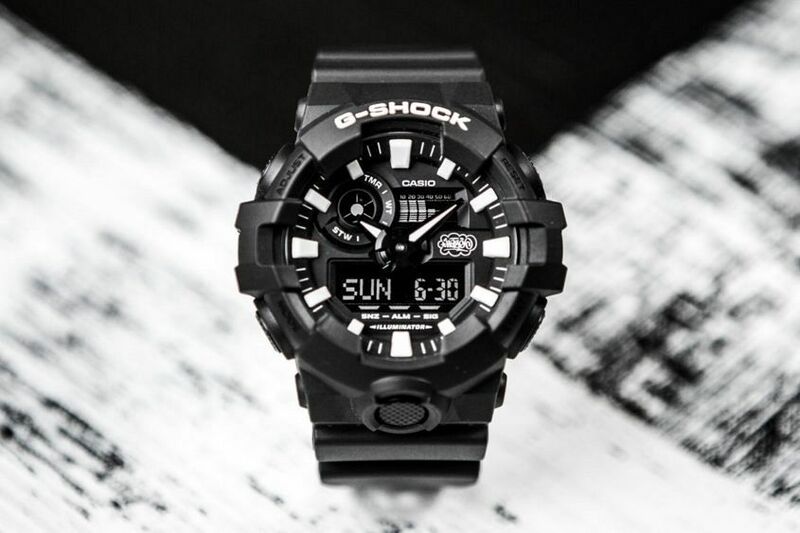 The limited edition GA700EH-1A model has a black and white colour scheme that appears solid from the front aspect, but the band gradates from black to white with thick brushstrokes of white paint. 2017 is printed on the underside of the band, and there is a signature star at the tip. 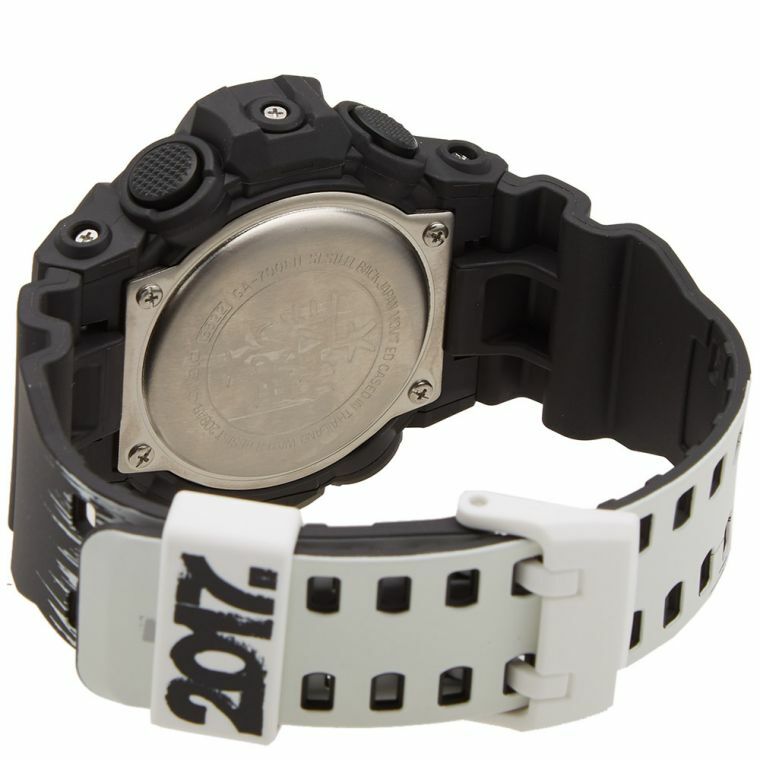 Haze’s logo is engraved on the caseback. 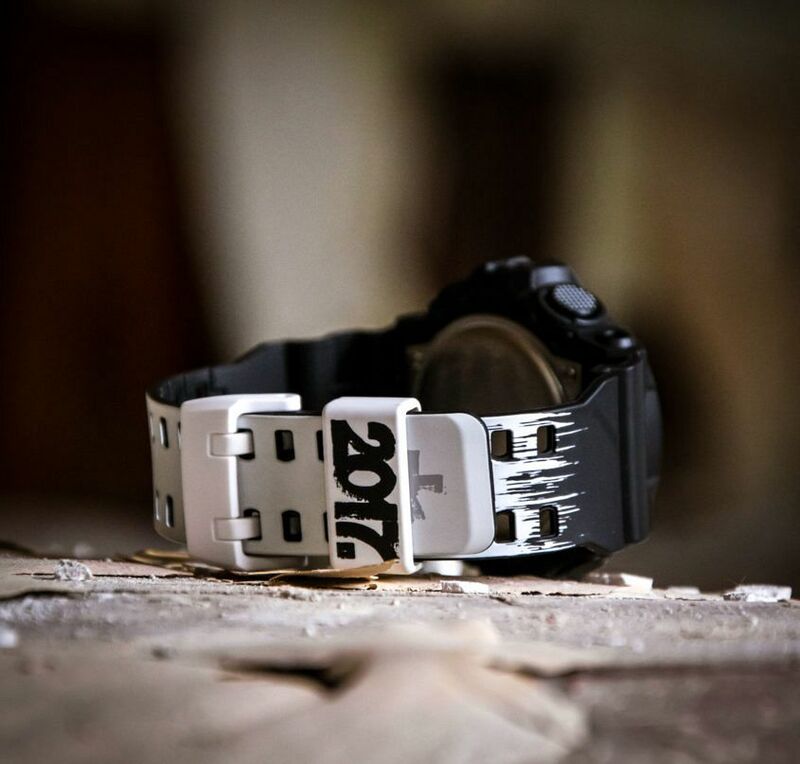 The watch also features a super illuminator LED light, chunky 3D black and white hands, five-year battery life, 200m water resistance and shock resistance, as well as world time (in 31 time zones, 48 cities + UTC), four daily alarms and one snooze alarm, 1/100th second stopwatch, 1/10th countdown timer, 12/24 hour formats and a hand retract function. All of that tech is housed in a 53.4mm case. It’s a big old monochrome monster. 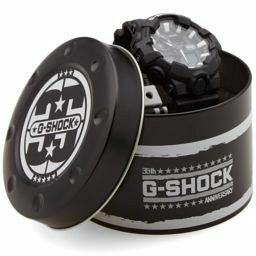 It’s not the first time Eminem has rocked a G-Shock. 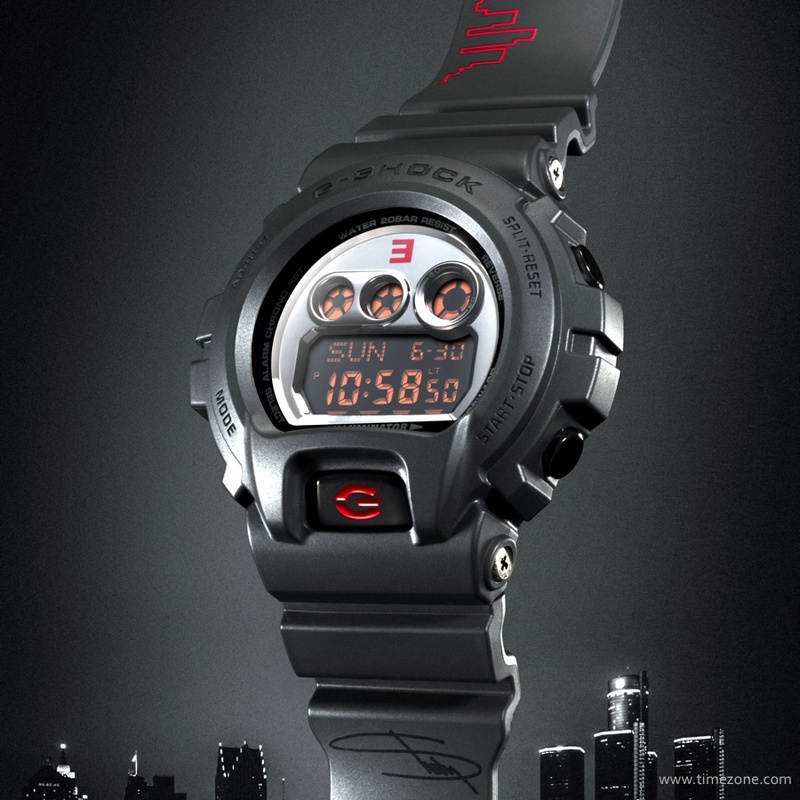 Five years ago, a limited edition G-Shock x EMINƎM Limited Edition 30th Anniversary Watch was released in his honour.